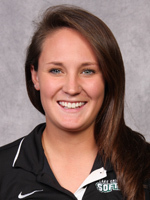 Rebecca Dyer joins the staff as a graduate assistant of the Lake Erie College softball program after a successful playing career at Denison University. Dyer was a member of the 2004-­2014 NCAC All-­Decade Team and had a successful playing career throughout her college experience. In 2011 she was the NCAC Pitcher of the Year and 3rd team au Central Region. Then, in 2012 she was nominated for Honorable Mention All ­NCAC, and in 2013 she was All Team­ NCAC. During the year of 2014 she was named the NCAC Pitcher of the Year and 1st team All Central Region. Within all these achievements, Dyer is an all-time leader with 23 career shutouts, 487 strikeouts, 53 completed games, 2 perfect games and her opponent batting average was .193. In her senior season she averaged 8.87 strikeouts per game and had an ERA of 1.47. Dyer dominated opposing lineups as she had 133 strikeouts and only 12 walks in 2014, while she was credited with 11 of the teams 20 wins. Dyer grew up in Shelby Township, MI, and continued her education in Granville, OH, as she attended Denison and graduated in 2014. 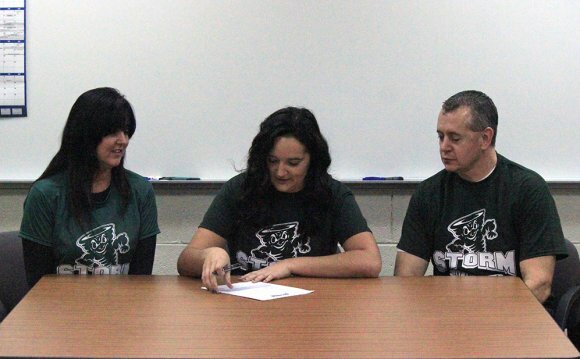 Rebecca majored in educational studies and was a team member of the softball program for four consecutive years. While here at Lake Erie she will be assisting with the coaching duties of the softball team, and she is also in the MED program.